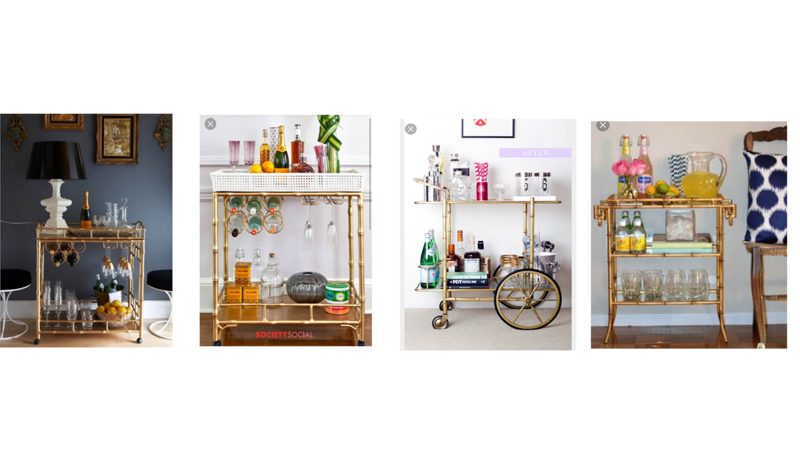 Anyone who knows me knows I’ve been searching high and low for the perfect (and affordable) bar cart for our apartment for about a year now. Finding a nice mix of the two is virtually impossible and I had come to terms with the idea of splurging. It’s not that I’m a cocktail connoisseur, there’s just something so classic and chic about bar carts. They seems old fashioned yet can be transformed to feel modern with the right styling. That being said, I struck gold at Salvation Army the other week. At first, I wasn’t sure if this piece could hold up to my standards. However, for only $35 I decided to try it anyway. I KNOW!!! $35!! The only other one I’ve loved was $175. The cart came with a plane of glass for the top surface. We removed it in order to glue some broken pieces back into place. Wood glue works perfectly. 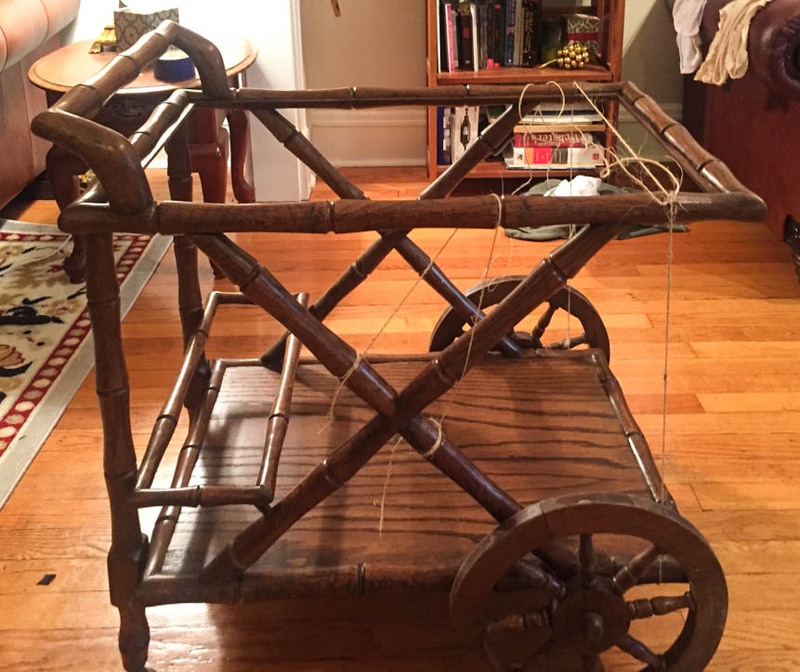 I decided to prime the cart before painting it since it had a polyurethane coat on it already. 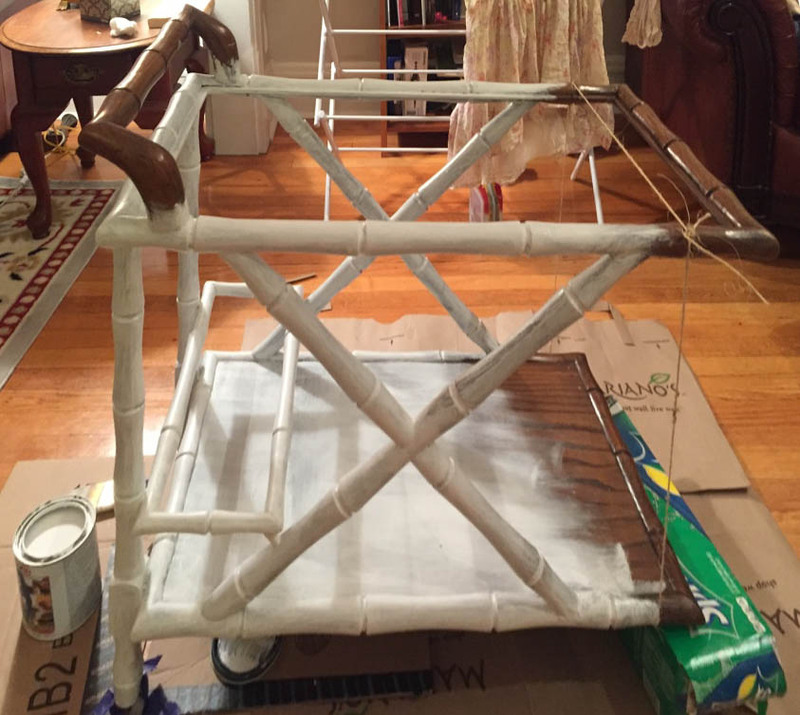 I opted out of using spray paint for the final coat so that I could keep the project inside. HERE is what I used. To finish it off, I used one of my most favorite touches: marble contact paper. I am obsessed with marble contact paper. It is affordable, easy to use and remove, and instantly transforms any piece. I used it on my dresser a while ago. Finished! Quite the transformation, huh? Now came the fun part, styling. Granted I didn’t have cute vintage bar accessories laying around so we had to improvise. I had found some adorable Culver Glasses at Chicago Vintage Garage that weekend (similar here). Paired with an awesome vintage tin tray I got a while back, everything started to come together. I’ll post styling updates as I continue to collect! 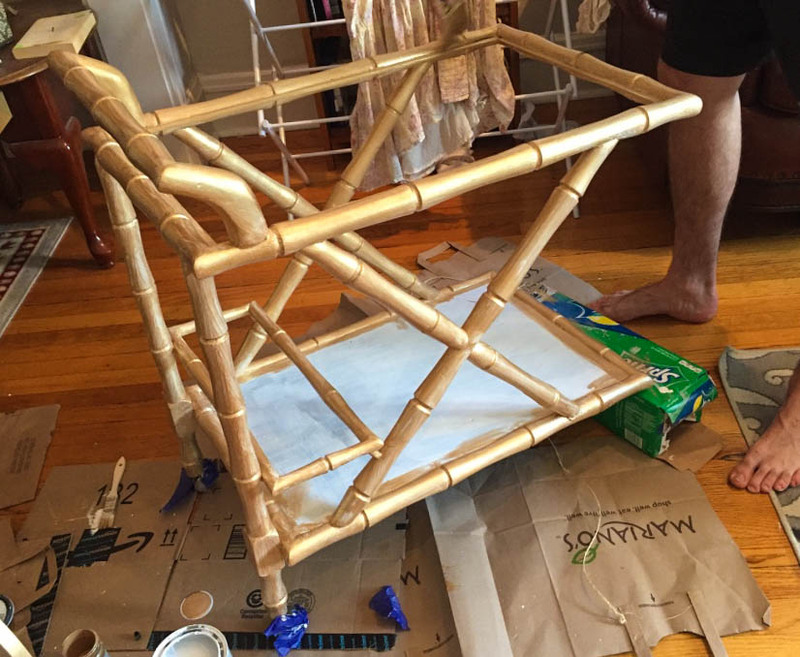 Show me your own bar cart DIY’s in the comments!